Tech Support Q&A: What does ‘List Status’ in Interlink Circulation mean? Q: What does ‘List Status’ in the bottom left hand corner of Interlink Circulation mean? A: List Status describes a series of stages to assist you in understanding your level of readiness in meeting Full-Service Intelligent Mail requirements. These requirements take effect Jan. 26, 2014, and they must be met to receive automation rates, i.e., discounted postage rates. With List Status, you can easily view your current level of readiness, and see what steps need to be taken to be Full-Service ready by the January deadline. 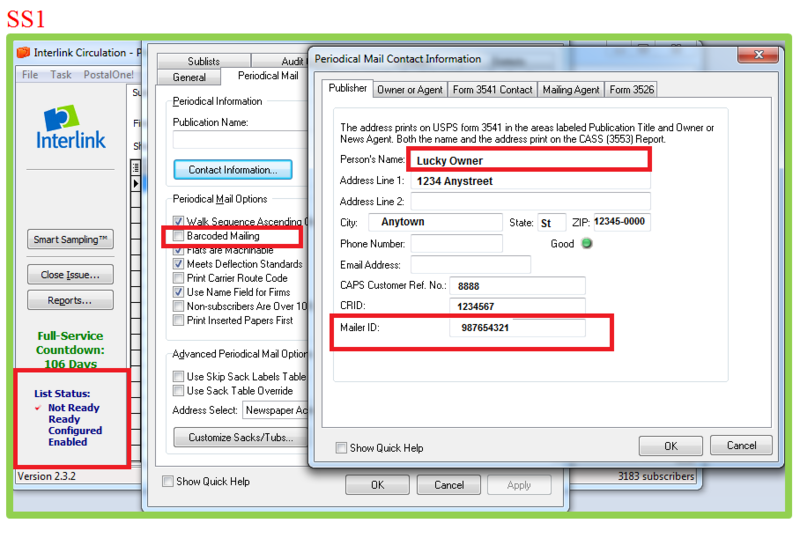 No MID is listed in Circulation (Mailer ID: obtained from USPS), or Barcode Mailing is not checked in Configure List (Image SS1). MID is listed in Circulation and Barcoded Mailing is checked (it is now assumed that you are currently printing the Basic IMB) (Image SS1). Status was Ready, Contact information correctly entered, PostalOne! Account Configured in Circulation and Verify PostalOne! Connection button has been pushed and successfully connected. (Images SS1 and SS2). 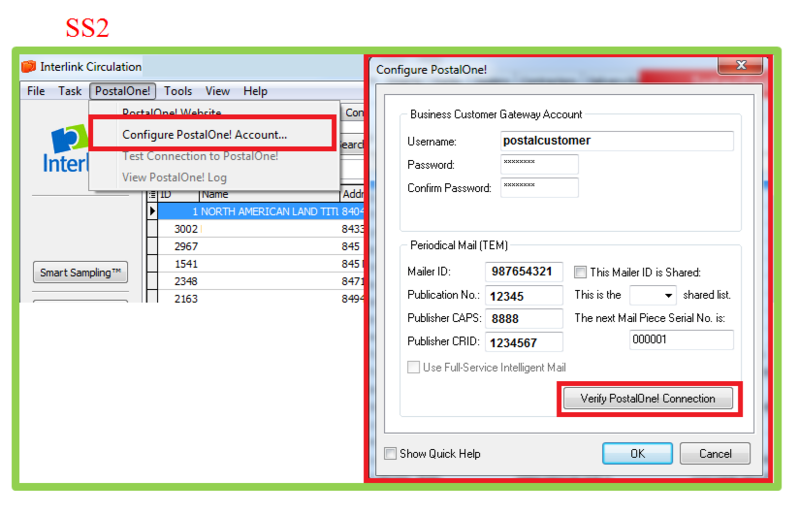 Status was Configured, Use Full-Service Intelligent Mail box has been checked in Configure PostalOne! (Image SS2). As always, if you have questions regarding Full-Service Intelligent Mail and what it means to your newspaper, please contact customer support at 888-473-3103 or you can email at support@ilsw.com.